Not familiar with Baba Ganouj? 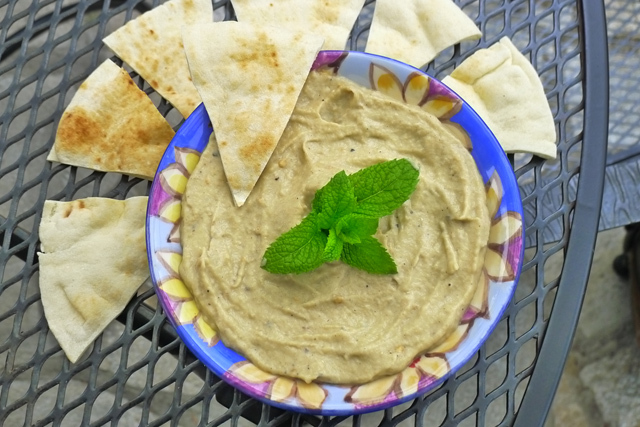 At Chez Bullhog, we consider it part of the triumvirate of Middle Eastern dips. For silky bean flavor, we’ve got Hummus; for creamy yogurt and cucumber flavor Tzatziki. And for fruity, smoky, garlicky splendor we rely on Baba Ganouj – what some call ‘poor man’s caviar’. Here’s how to make it. 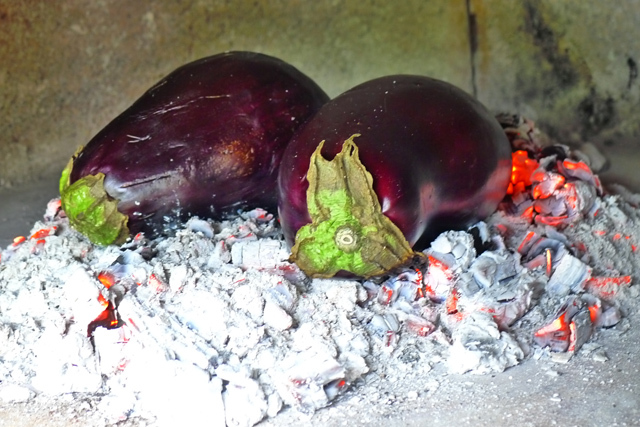 Cook the eggplant in a woodfired oven: It’s best to do this after baking bread. 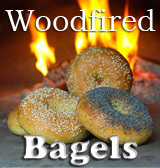 Bring the dying coals back to the center of the oven, and burn 4 or 5 sticks of hardwood on top of them. When the flames die down and the wood crumbles into red coals, flatten them out a bit and put the eggplant directly onto them. Turn the eggplant over after 5 minutes, a quarter turn after another 5 and all the way over again after another 5. Steam will be coming out constantly when the eggplants are done; their skins will be black and crispy. Remove to a plate and allow to cool for 30 minutes or more. 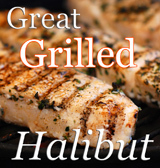 Cook the eggplant in a charcoal grill: Burn 30-40 charcoal briquettes for 20 minutes, until they are white hot. Spread them out and put the eggplant directly onto them. Turn the eggplant over after 5 minutes, a quarter turn after another 5 and all the way over again after another 5. Steam will be coming out constantly when the eggplants are done; their skins will be black and crispy. Remove to a plate and allow to cool for 30 minutes or more. Make the Baba Ganouj: Once the eggplant has cooled enough to handle, pull the blackened skin off and discard. Pull or cut the stem off and discard. Remove some of the strands of seeds if desired. Put the flesh into a food processor fitted with a steel blade; add the tahini paste, garlic, lemon juice and salt and pulse until smooth. Alternately, you can mash the eggplant with a fork. Serve with pita bread. This dip goes well with Grilled Lamb Kebabs. Here's what gives this dip its fabulous smoky flavor. Crazy! Great recipe. This is something I’ve never actually made so love the recipe and tips.